This Amigo Tendon & Fetlock Boot Set comes in a set of four boots, including a pair of tendon and a pair of fetlock boots. These boots have a cut away shape to prevent pressure points during exercise with a comfortable neoprene lining and elasticated double velcro closures to give a secure fit. These boots have a hard PVC outer shell and are perfect for jumping or everday use. 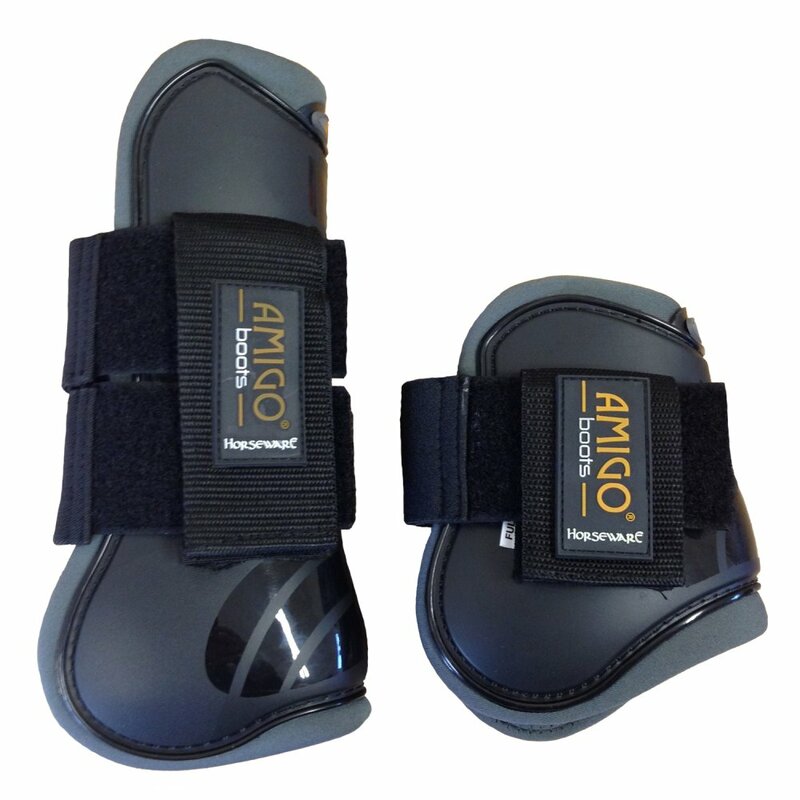 These Amigo Tendon Boots are finished off with contrast Amigo branding.